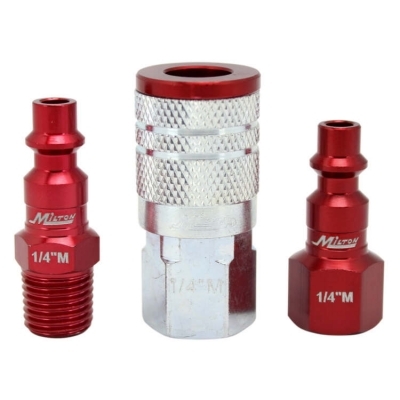 •M-STYLE: Milton M-style, ColorFit M-style, + red competitor couplers/plugs are all compatible! •EASY MATCH: Use color to distinguish between air lines (e.g. high pressure vs. low pressure). •COLOR: Red to Red matching - (M/Industrial) air coupler/plug fittings, easy push to connect.